To educate and inspire, through African art forms. 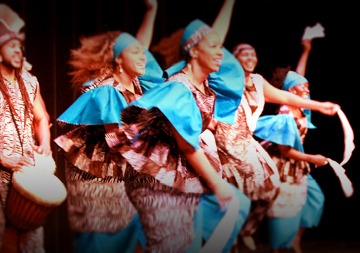 To study, and share experiences associated with African culture and history through the medium of dance, music, and specialized presentations, so that we may foster a greater awareness, understanding, appreciation, and respect for African and African Diaspora related music, dance, and culture. Bandan Koro African Drum & Dance Ensemble was formed in Winter 2009 in an effort to provide quality African dance & drum classes, programs, performances and educational and cultural activities.